It took me a while to jump on the gingham train. I think it may be because it reminds me of my early blogging days when i was majorly in to retro 60’s styles and i was very ‘twee’ for a long time (if you want a laugh and see me literally growing up through my twenties on the internet check out my cringe worthy archives!.. shudder..😂). But there’s still a place in my heart for the checked, gingham print, and it really can work and be a useful little number. I hope this will represent a slightly more grown up take on gingham but still rather fun. This dress was originally bought for a Social Brunch Meetup, which it would have worked perfect for, but sadly the ol’ British weather decided it was not meant to be as it was rainy and chilly on the day (so i went for the red jumpsuit instead), but it turns out that the dress could be useful for a number of occasions. I wore it for an evening out last week to see Grease Live in Cardiff and drinks in the bay, it was lovely and light and comfy to be sat down all evening in too. I’m thinking paired with some tan sandals this would work great for even just a day at the shops, or add some red block heels and perfect for an evening out. The neutral colour means its pretty much is a blank canvas when it comes to mixing in accessories, which is great as it will allow lots of remixing potential. Also did i mention? Tremendously comfy. Light and floaty can do no wrong in my dress loving eyes. Have you flirted with gingham this season? Are you a fan of the print? I love gingham. Those shoes are gorgeous. This outfit is just perfect and those shoes are dreamy. I actually bought a red and white gingham top this year (a print I never thought I'd touch) and I really like it. To prevent looking like an extra from Little House on the Prairie, I pair it with a leather pencil skirt and killer heels which seems to negate the 'twee factor'. 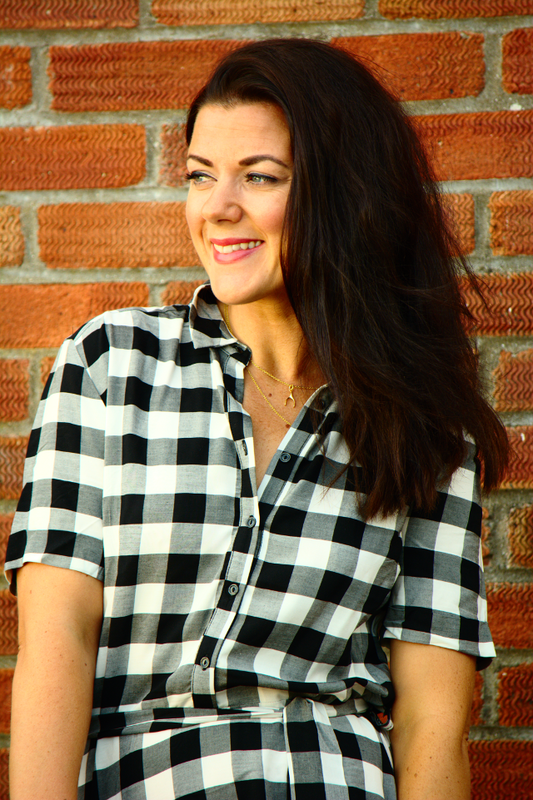 Love your gingham shirtdress and the unexpected twist of yellow shoes you've interjected! Really lovely! Very pretty shirtdress! I would wear in a minute! I love that you chose a bright yellow to add a pop of color!